Mariah Carey Keeps Things Festive & Bright On "The Star"
Mimi's seminal 'Butterfly' album is being released on picture disc vinyl. 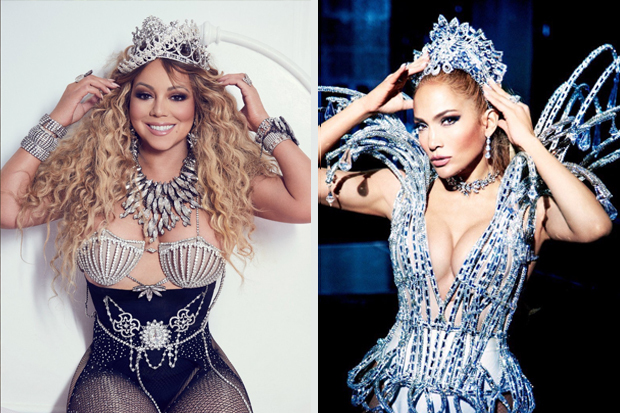 The Queen of Christmas is getting ready to reclaim her crown. Mariah Carey has unveiled her latest holiday anthem, “The Star,” and it is a sweeping ode to keeping the spirit. Released today (October 20), the song is the title track to the soundtrack for Columbia Picture’s forthcoming animated film of the same name. Unlike some of her previous Christmas material, her latest effort features a religious spin to remind listeners of the reason for the season. “Follow that star above you, should the world try to break you down. There is one who waits for you though you can’t see him now,” she warmly sings over a twinkling production. A children’s choir adds extra resonance, and Mimi has another solid addition to her discography on her hands. Although it does not shine as brilliantly as her defining holiday anthem, “All I Want For Christmas Is You,” the track features one of her best vocal performances. Mariah’s voice swell nicely over the simple production, and she manages to emote without relying on gymnastics. As a slew of pop acts including Fifth Harmony, Gwen Stefani and Sia dabble in festive pop this year, it is refreshing to see the Queen stake her claim on the season. Kelly Clarkson and Kristin Chenoweth are both starring in the movie, which tells the story of the farm animals who helped make the first Christmas possible. With all of these big-voiced divas attached to the project, it’s safe to assume that the soundtrack will be one of the best and most joyful to come out this year. Find out more about it here and give Mimi’s latest holiday anthem a spin below.